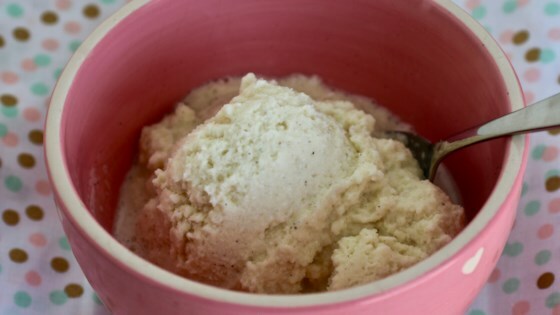 "Fresh snow turned ice cream in 5 minutes or less! Fun to do with kids. The toppings/mix-in options are endless. Fresh fruit is a great mix in for snow cream, as well as chocolate chips." Mix snow, sweetened condensed milk, and vanilla extract together in a bowl until well mixed. Quick and easy. Awesome recipe for fresh fluffy snow. We didn't measure the snow, probably had way more than what the recipe calls for. The snow was icy but still yummy- more like a snow cone. Kids mixed chocolate syrup in theirs. When Egg Nog was still around, would use it to flavor it with..